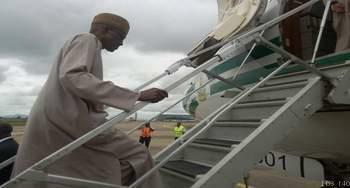 The President, Muhammadu Buhari, has left the country to Istanbul, Turkey where he will be participating in the ninth Summit of the Developing 8 (D-8) on Friday, October 20, 2017. The President left the country on Wednesday after presiding over the weekly Federal Executive Council (FEC) meeting, with his cabinet members at the Presidential Villa in Abuja. Prior to the D-8 Summit, President Buhari, at the invitation of President Recep Tayyip Erdogan of Turkey, would participate in an official working visit to Ankara, the capital city. The D-8 Summit with the theme, “Expanding Opportunities through Cooperation”, will among other things, focus on cooperation in the areas of agriculture, trade, transport, energy and increased private sector participation among member-countries. Previous story Newcastle United Owner Put Club Up For Sale @ royalpizzle.